The 4 point bar includes the main loop with a diagonal and horizontal brace and two rear legs. This bar can be made of a 1.75 x .120 DOM material or a 2 x .180 ERW this bar is SCCA legal through SOLO I. If you are doing other racing with the car, please let us know. Shipping to a commercial address or freight terminal is preferred. This item has an approximate lead time of 2-4 weeks. Please contact us with any questions. Freight charges are set to $0 by default. The actual price will be.. The 4 point bar includes the main loop with a diagonal and horizontal brace and two rear legs. 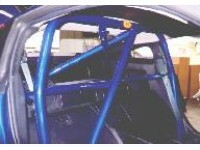 This bar can be made of a 1.75 x .120 DOM material or a 2 x .180 ERW this bar is SCCA legal through SOLO I. If you are doing other racing with the car, please let us know. Shipping to a commercial address or freight terminal is preferred. So you don't know how you'd like your bar to be made? Well here is a bit of an explanation of your choices. ERW is your first choice and it is the less strong bet also less expensive option. It is not approved fo.. 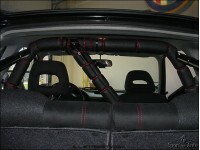 The 4 point competition roll bar includes the main loop with a diagonal and optional horizontal brace and two rear legs. This bar can be made of a 1.75 x .120 DOM material. This bar is SCCA legal through SOLO I. 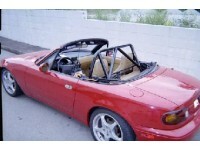 This design also works well with the factory rear glass window miatas. The side bars are an optional feature. 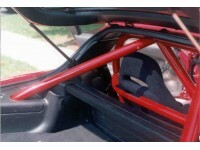 If you are doing other racing with the car, please let us know as there is a full cage design to incorporate this bar for spec miata usage. Shipping to a commercial address or freight terminal is preferred. This it.. 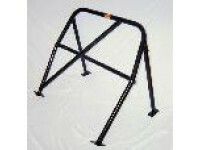 The 4 point bar includes the main loop with a diagonal and horizontal brace and two rear legs. 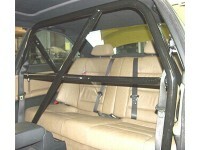 This bar can be made of a 1.75 x .120 DOM material or a 2 x .180 ERW this bar is SCCA legal through SOLO I. If you are doing other racing with the car, please let us know. Shipping to a commercial address or freight terminal is preferred. 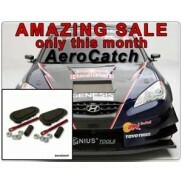 This item has an approximate lead time of 2-4 weeks since each bar is made to order. Please contact us with any questions. Freight charges are set to $0 by de.. The 4 point bar includes the main loop with a diagonal and horizontal brace and two rear legs. This bar can be made to mount behind the seat or in the storage bin location for those who need to maximize seat travel. Without mounting the bar in the bins you may lose 1-2 notches on your seat travel. 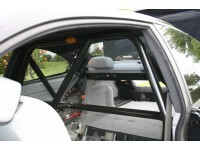 This bar can be made of a 1.75 x .120 DOM material or a 2 x .180 ERW this bar is SCCA legal through SOLO I. If you are doing other racing with the car, please let us know. Shipping to a commercial address or freight terminal is preferred. This item h.. The 4 point bar includes the main loop with a diagonal and horizontal brace and two rear legs. This bar can be made of a 1.75 x .120 DOM material or a 2 x .180 ERW this bar is SCCA legal through SOLO I. If you are doing other racing with the car, please let us know. Shipping to a commercial address or freight terminal is preferred. This item has an approximate lead time of 2 weeks. Please contact us with any questions. Freight charges are set to $0 by default. The actual price will be bet..